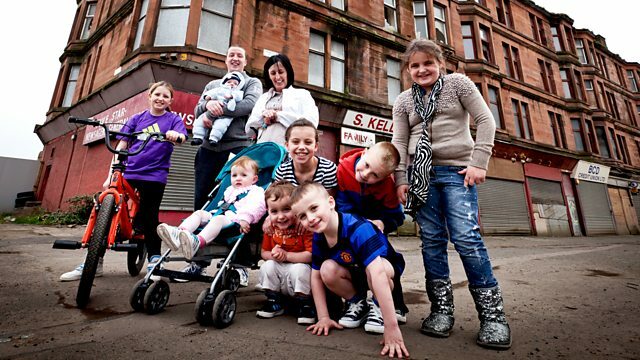 Can the Games Transform Glasgow’s East End? This article appeared in The Sunday Herald, November 2007. Ardenlea Street, once the bustling hub of Glasgow’s Dalmarnock area with schools, shops, cinemas and churches, today looks like the disused set of a long-forgotten western. Broken doors swing and creak in the wind. Torn curtains flutter from dark empty rooms out of the only windows not boarded up with bricks. This eerie old tenement row is to be demolished, along with those in several streets nearby, to make way for the Commonwealth Games athletes’ village and velodrome. The plan forms part of a grand vision for the isolated area – cut off even from Parkhead a mile or two away – to be the centre of an east end transformed. The availability of land, the area’s location near the city centre and its long-standing deprivation made it an obvious choice for the housing complexes and commercial opportunities promised as the games’ legacy. But Dalmarnock is not quite a ghost town awaiting rebirth. A single satellite dish at the bottom of Ardenlea Street indicates that life still exists. Margaret Jaconelli has been on her ground floor flat for 32 years, and though all her neighbours have been re-housed as part of the Clyde Gateway project, she has, thus far, refused to budge. “I’m the last one left now,” says the 49-year-old proudly. “I want to stay in my own house as long as possible. Around the corner in the cafe, post office and tiny row of shops on Springfield Road, people chatting about the games bid victory are keen to point out that Dalmarnock is still a cracking wee community. Although television cameras are panning across derelict ground now pencilled-in for green boulevards and water features, the area’s 20,000 residents are beginning to wonder where exactly they fit in with future plans. Despite a campaign to save the condemned post office, the tenements and businesses on Springfield Road will be demolished to make way for the 35-hectare athletes’ village. After the games, the accommodation will be fitted with kitchens to provide 1200 homes for sale and 300 affordable social houses for rent. Redevelopers are still vague about which other streets might face upheaval, but they promise any relocation will be managed with great care. Councillors and planners have tried to dampen fears that the existing community will be priced out of a reinvigorated housing market, but the issue continues to cause worry. Once an area of heavy industry and full employment, there are hopes commercial development can be sustained in Dalmarnock long after the games have gone. The creation of an urban regeneration company to attract investment is awaiting approval from the Scottish government, and the rosiest scenario predicts 20,000 new jobs in the east end over the next 20 years. It is hoped a new train station, a possible new subway link and the M74 extension will attract further spending power. Professor Ivan Turok, of the University of Glasgow’s urban studies department, warns that games-based regeneration would not work without listening to the needs of local people. “The people living in the area must benefit,” he says. “The danger is that outside companies get the lion’s share of contacts and profits. Those in charge of regeneration are keen to point out the Clyde Gateway project would have remained focused on the long-term fortunes of Dalmarnock even if the games had gone to Abuja, but there is clearly great relief about the impetus the 2014 target now brings. Whatever Happened to Philanthropic Housing?